Dr. Gardner obtained his Ph.D. in psychology from McGill University in 1960 under the direction of Wallace E. Lambert. He spent his last year of residency studying and working with John B. Carroll at the Graduate School of Education, Harvard University. He joined the Department of Psychology at the University of Western Ontario as a lecturer in 1961, and was promoted to Assistant Professor in 1962, Associate professor in 1966, and Professor in 1970. 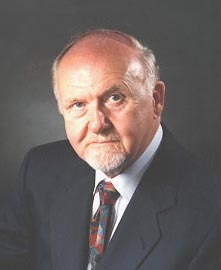 In July 2000, he was appointed Professor Emeritus of Psychology at the University of Western Ontario, where he is continuing his research, teaching the graduate course in Research Design, and serving as statistical consultant to the Department. He has been a Ford Foundation consultant at the Philippine Normal College, Manila, as well as a consultant to the Center for Applied Linguistics, Washington, D.C., and the Foreign Language Institute, Monterey, California.. He is a Fellow of the Canadian Psychological Association, for which he has served as Director, Chairman of the Scientific Affairs Committee, and Editor of the Canadian Journal of Behavioural Science. In 1999, he was honoured with the Canadian Psychological Association Award for Distinguished Contributions to Education and Training. He has written two books concerned with second language acquisition. He is a co-author, with Wallace E. Lambert, of Attitudes and Motivation in Second Language Learning, Rowley MA: Newbury House, 1972, and the author of Social Psychology and Second Language Learning: the Role of Attitudes and Motivation, London, UK: Edward Arnold, 1985. He has also written Psychological Statistics Using SPSS for Windows, Upper Saddle River, NJ: Prentice Hall, 2001, and is co-editor with Rudolf Kalin of A Canadian Social Psychology of Ethnic Relations, Toronto, Methuen, 1981. In addition, he has published approximately 150 journal articles and book chapters, many of which deal with the role of attitudes and motivation in second language learning. Others are concerned with ethnic relations, ethnic stereotypes and ethnic attitudes, psycholinguistics, and statistical analysis. Gardner, R. C. (1985). Social Psychology and Second Language Learning: The Role of Attitudes and Motivation. London, GB: Edward Arnold. Motivational Variables in Second-Language Acquisition. Unpublished Ph.D. Dissertation. McGill University, Montreal, Canada, 1960. The Attitude Motivation Test Battery Manual, 1985. Integrative Motivation: Past, Present and Future. Temple University Japan, Distinguished Lecturer Series, Tokyo, February 17, 2001; Osaka, February 24, 2001. Integrative Motivation and Second Language Acquisition. Canadian Association of Applied Linguistics/Canadian Linguistics Association Joint Plenary Talk, May 30, 2005; London, Ontario. Gardner and Lambert (1959): Fifty years and counting. Canadian Association of Applied Linguistics Symposium presentation, Ottawa, ON, May 2009. Attitude/Motivation Test Battery: International AMTB Research Project for English as a foreign language. Attitude/Motivation Test Battery Items for Croatian, Japanese, Polish, Portuguese and Romanian Questionnaires. Item-key for International AMTB for English as a foreign language.